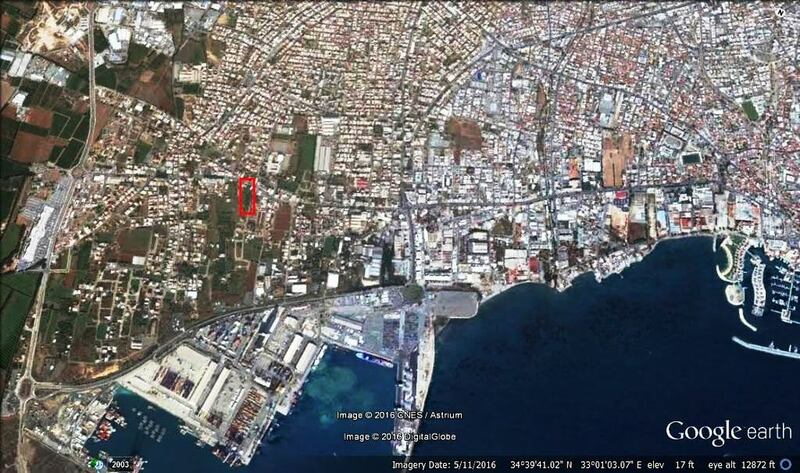 A prime development opportunity now available in a very desirable location in the Zakaki area of Limassol. Offering a total land area of 7355 m² in a building zone for Commercial, and Residential Development at a location that is now in great demand and will be even more so in future, as Limassol can no longer expand further to the East, due to saturation and shortage of land. Furthermore all major projects are now located in this part of Limassol like the Limassol Marina, The Mall and of course the biggest project of all due in approximately 3 years, the Melco-Hard Rock Casino Resort. The plot is located in one of the main roads of Limassol in Franklin Roosevelt Sreet just 500 meters from Limassol port, just a few minutes’ drive from the Limassol Marina and a 5 minutes drive from where the new Casino will be located. The site will have frontage onto the main road (ensuring easy access to public and private transport) and stunning sea views from upper levels. This property represents an ideal investment for a large scale development at a location that already enjoys demand for commercial and residential accommodation that will increase even further in the coming years with the Casino presence and accommodation needed for personnel and even luxury short term rental accommodation for overseas visitors to the Casino. Commercial and residential sites of this size, quality and location are rarely available and this plot will provide an exceptional opportunity for discerning buyers to secure a very strategic and profitable Investment.